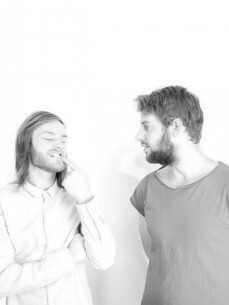 SHMLSS consists of Bart and Michiel, two young city guys who connected with each other through the Disco sound they both love. Always searching for those rare gems in dark, dusty old record stores, they often come home with the same records. Their dj sets are diverse and they developed a particular sound, resulting from the interesting mix of their personalities you can expect Disco cuts, Africa beats, Ambient stuff and Industrial House grooves. Always carrying the latest (or oldest) vinyl’s, they always find a way to surprise the audience and themselves with quality disco minded music for open minded music people. Starting out in a local bar in Utrecht, the Netherlands, SHMLSS quickly became a frequent guest at the leading clubs and internationally recognized festivals. Just before their big breakthrough in the summer of 2012 they won a golden gnome for best new talent. They fully lived up to that promise with numerous gigs and with releases on Disco Deviance, To Rack & Ruin, and other respected disco minded labels. They’re also showcasing their taste of music as curators of the 22TRACKS Amsterdam Disco playlist. As they like to party they started their own club nights and infamous FEST party’s and festivals in and around Amsterdams most special venue’s. They had guest behind the decks like Tornado Wallace, Eric Duncan, Space Dimension Controller, Rahaan, Antal, Hunee, Ata, Detroit Swindle, HNNY, Noema, Damiano von Erckert, Medlar amongst other great artists. As they became studio addicts expect lot’s of original tracks, edits and remixes in the near future.